Watch Now and learn the Lalita Trishati! Shree Maa and Swamiji will teach the sanskrit and elaborate on the meanings and significance of the powerful 300 names of Sri Lalita Devi. Enjoy our 2014 online class of the Guru Gita! The Devi Gita is a treasure chest of devotional practices and attitudes which every devotee of the Divine Mother will want to learn and apply. Bhagavad Gita conveys the greatest blessings in understanding the Ideal of Perfection and gives us the inspiration to reach for it. Shree Maa and Swamiji teach the Lakshmi Puja Class for the first time in this awesome video class! Mother Lakshmi is the Goddess who refines our path to success. She is the goal and she blesses sincere devotees with the abundance of wealth. Worship the Divine Mother by learning the most sacred of Her scriptures – The Chandi Path! Shree Maa and Swamiji teach the meaning and significance of every mantra of the Chandi Path Course in this informative course. Prepare yourself for Maha Shivaratri by watching our free online class: Shiva Puja and Advanced Yajna! Swamiji will show us the path to Lord Shiva’s infinite compassion as he walks us through the methodology of the puja, from a beginners practice all the way to the advanced. He also teaches, step by step, how to do the yajna (fire ceremony). New Live Class: Begins October 4th ! Sri Lalita is the name of Goddess which means beautiful, playful and beloved. The Lalita Trishati Stotram is the powerful 300 names of the Playful Divine Mother. 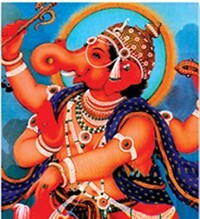 Ganesha is the son of Shiva and Parvati. 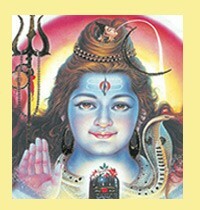 Lord Shiva granted Ganesha the boon that He will be the first to be worshiped in every puja. Without Wisdom, it is impossible to unlock the doors to the secret of Enlightenment. Shiva is the Consciousness of Infinite Goodness, and his five letter mantra makes His puja an excellent starting point for first time Sanskrit chanters. The Sapta Rishis are mysterious figures whose spiritual luminescence has sparked the Hindu imagination for thousands of years. These ancient “seers” imparted the wisdom of Sanatana Dharma to the earliest race of humanity. How do we best serve the Guru? How do we act, behave, and show respect to the Guru?